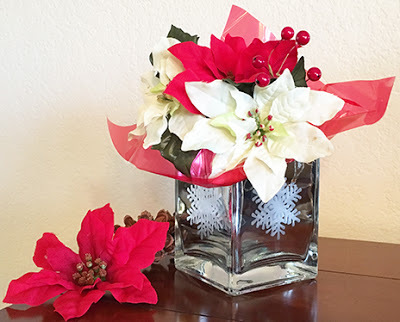 Sing in the New Year with this fun display of paper flowers! 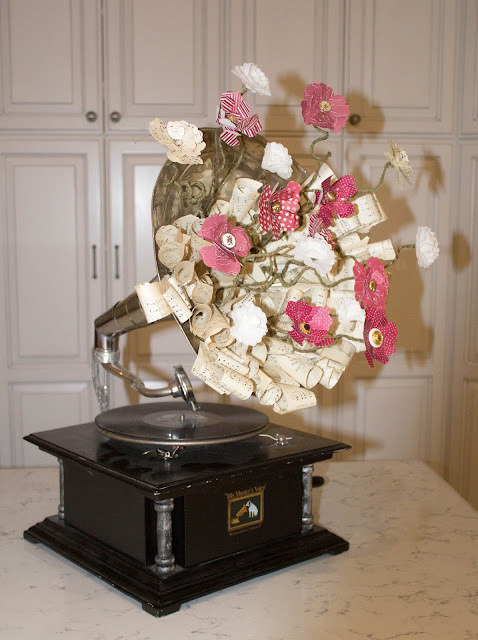 Something about paper flowers in a vintage gramophone just sings to me; so, I crafted up this pretty decorative piece using a die cutting machine and flexible wire. A little vintage music paper was also used to add interest to the piece. Happy New Year.... almost! 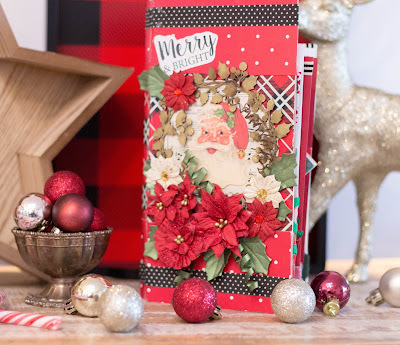 It's time to start making your New Year cards! 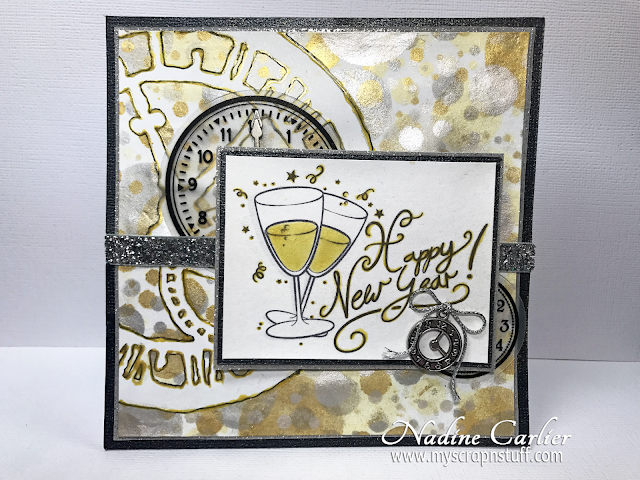 When it comes to colors for new years, I tend to always think of gold, silver, and black so I knew those were the colors I wanted to use for my Happy New Years Metallic Bokeh card. 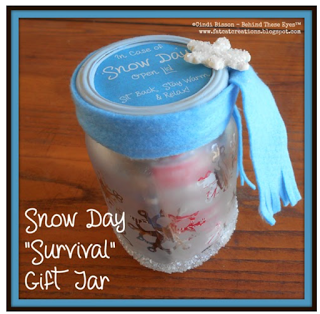 Upcycle inexpensive glass pieces found in dollar stores and/or charity shops with etched designs! My mother-in-law often received flower arrangements and would save the containers for me. I loved this square mirror vase and etched a snowflake design on each side. It was amazingly easy using either stencils or vinyl patterns cut on a shape cutting machine. 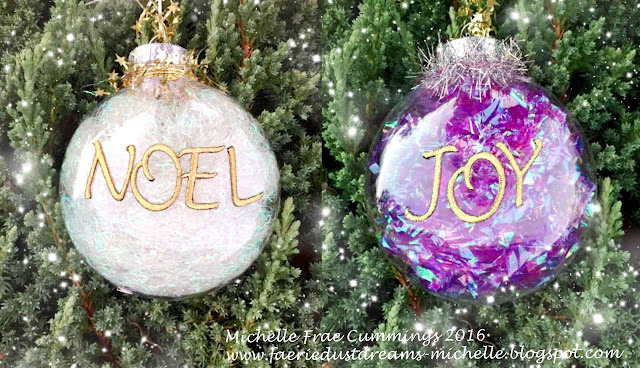 With a couple of clear ornaments, some colored cellophane and embroidered letters, you too can make these beautiful ornaments in minutes! Give your friends and family small treats in a sweet little treat box this year. This pretty Christmas Journal is loaded with secret pockets and pages to help you keep organized and efficient this holiday season. This is the perfect journal to keep your lists, receipts, recipes and more handy. 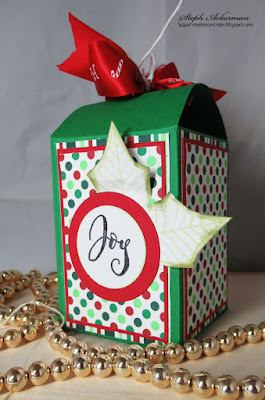 There's even envelopes for holding cash and gift cards. 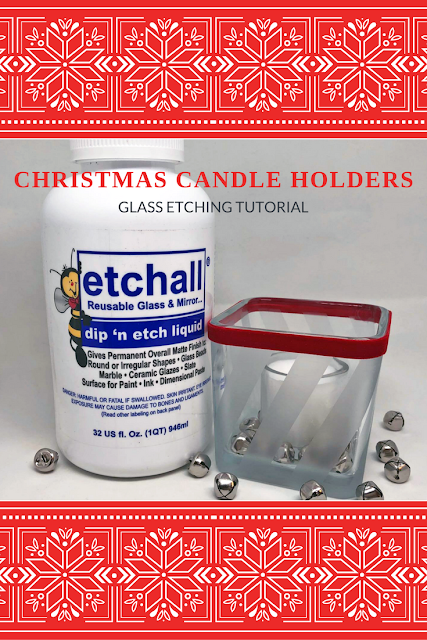 DIY Christmas candle holders make great gifts and are easy to make too! 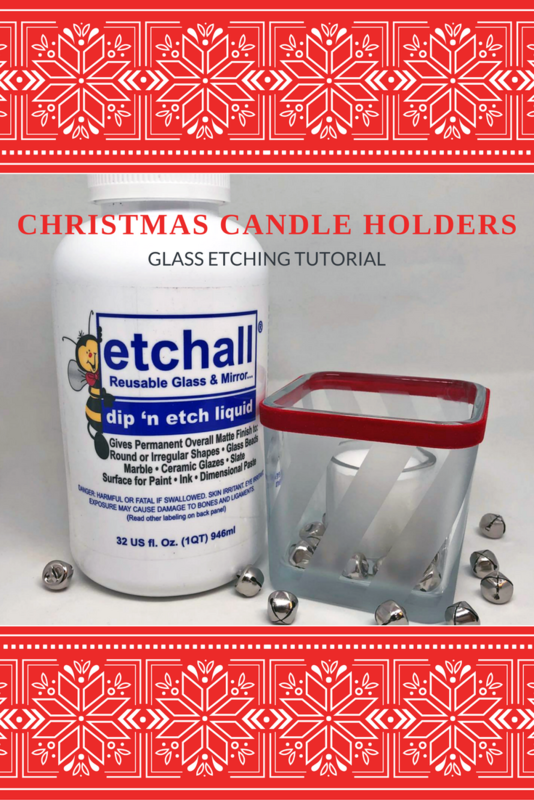 I created this cute candy cane stipped candle holder using etchall® dip 'n etch liquid. 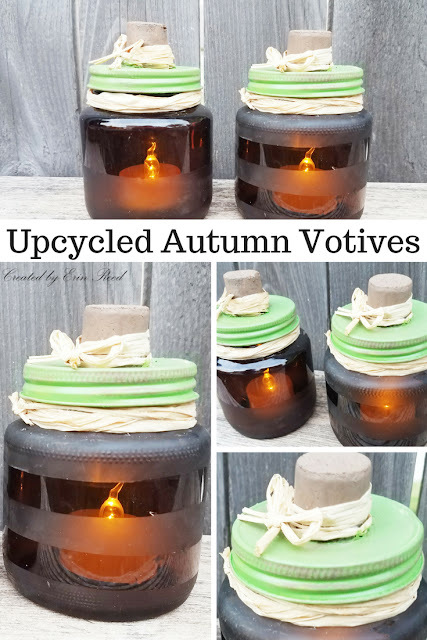 For the full tutorial on how easy they are to make, click on read more below. 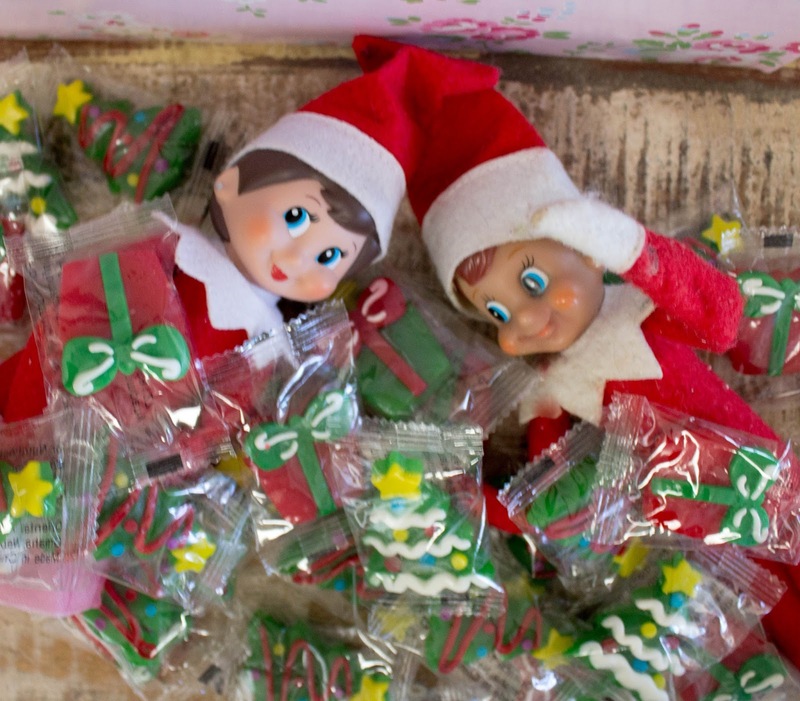 In case you didn't know it, fairies believe in Santa, too! 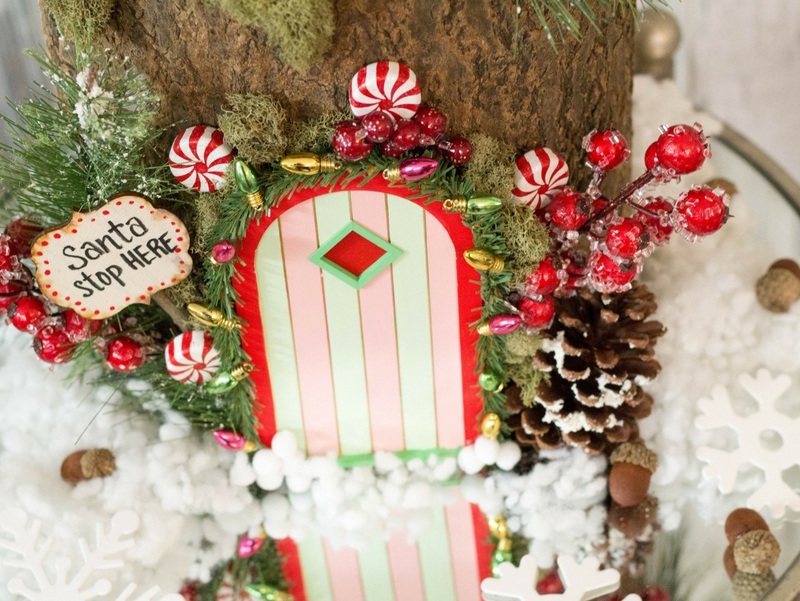 This whimsical fairy house is constructed from a real tree stump, and features a tiny scene of miniature treasures. Hopefully the fairy who lives in this charming dwelling has been good! 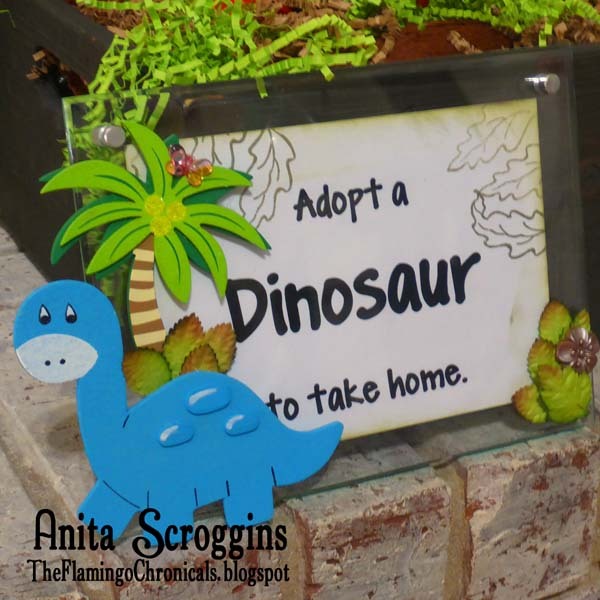 Our Princess just had a dinosaur theme party and we finished out the day with a Dinosaur Adoption. The kids loved it! This sign was so easy and fun to make. This Thanksgiving create your own placemats! 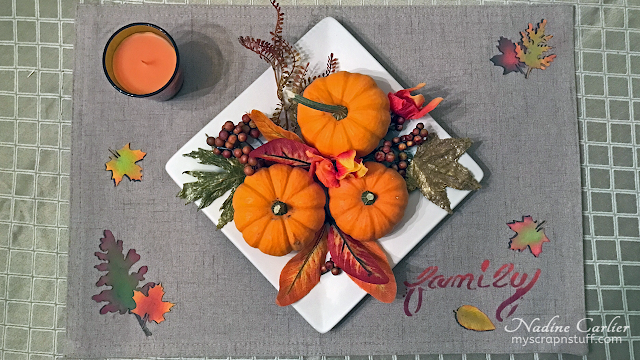 Read more for a video tutorial on how to decorate your own placemats this Thanksgiving season. 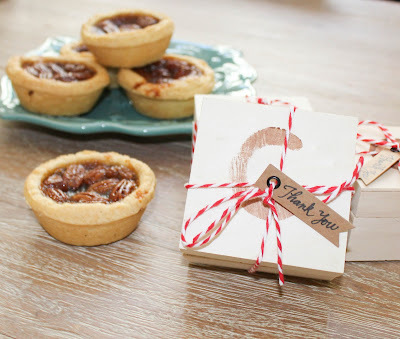 These adorable miniature wood boxes are hand stamped and tied with baker's twine for a a party favor that houses a tasty treat! 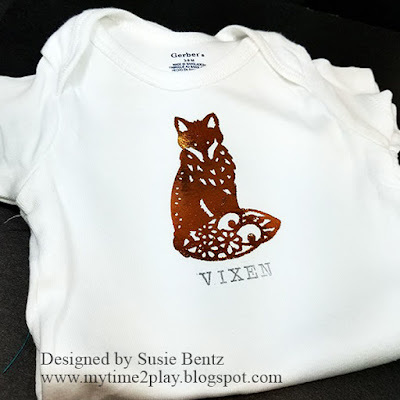 Quick and easy Forest Friend onesies are the perfect gift for a Fall baby shower! Autumn leaves never go out of style - they're a beautiful, natural way to bring fall colors into your home. 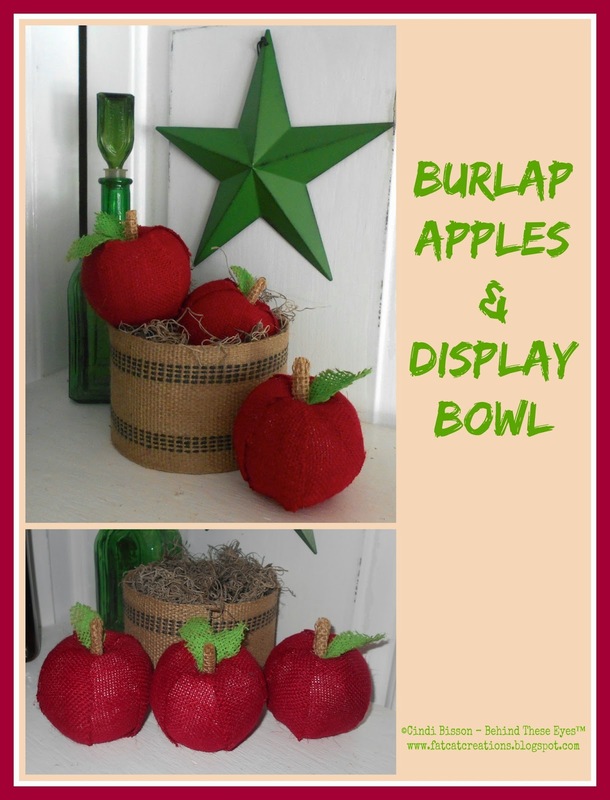 Once they drop from their branches, they're just begging to be used in a centerpiece. 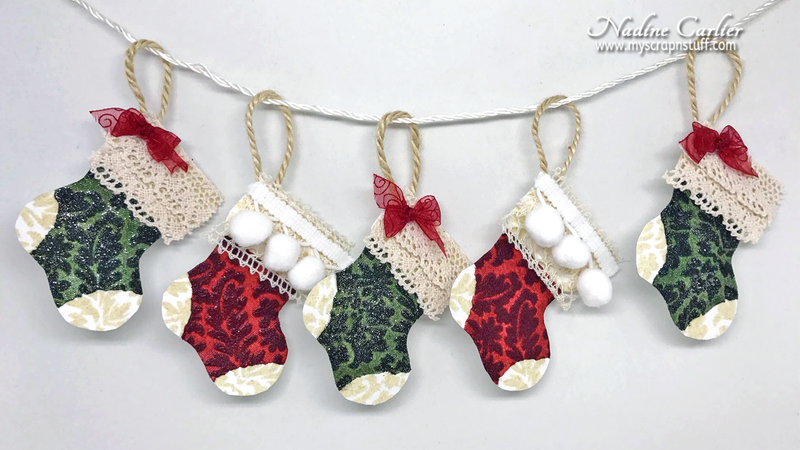 It's easy to make them last longer with découpage medium - my video tutorial gives you complete instructions - Enjoy! This month's creative journey starts with clear cast resin. 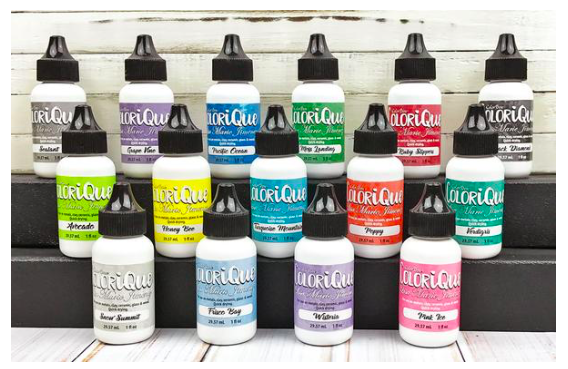 This is a liquid that cures to a rigid and durable clear plastic finish. 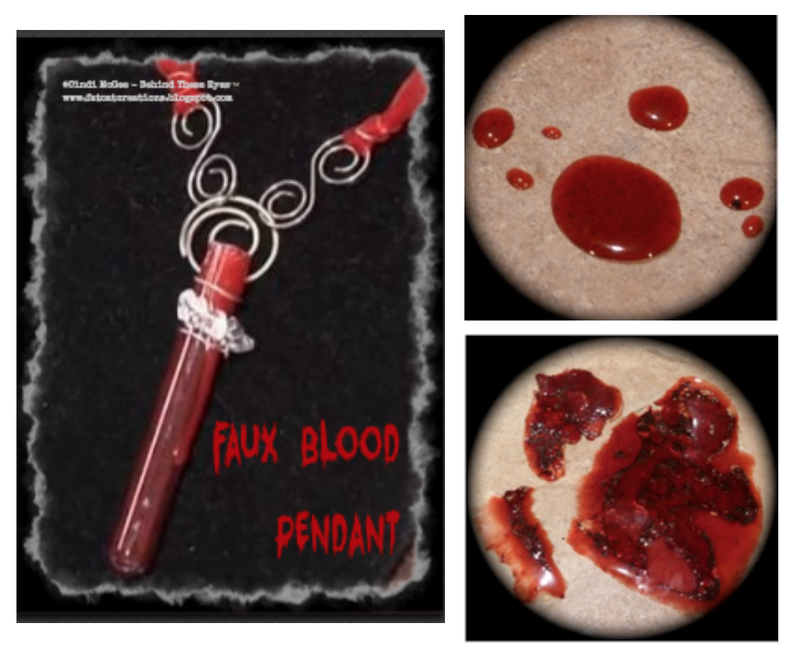 It can be used to create small items, like jewelry and to coat large items like a bar top. 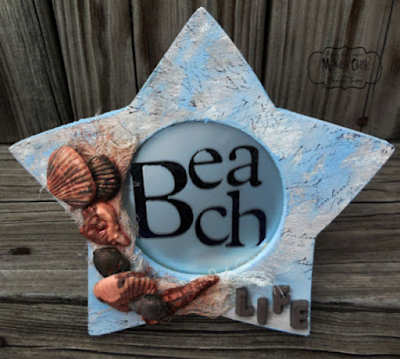 Pour resin into silicone molds to create solid resin items, or create your own mold with Amazing Mold Putty. This clear resin can also be colored with a variety of colors of Alumilite dyes and with the addition of Alumidust there are even more creative effects and unlimited design possibilities. Let's take a look at the projects our designer members created. We know you'll be inspired, so scroll to the end of this post for a special discount coupon to help you get started with some fun holiday crafting! 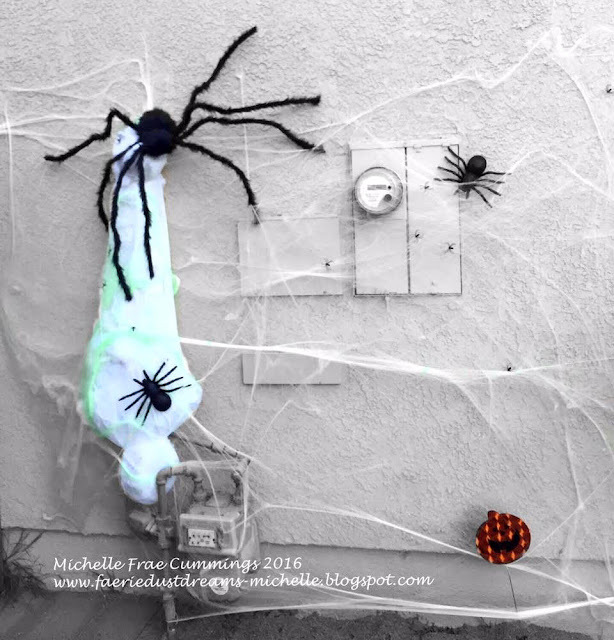 Halloween is my absolute favorite time of the year and as my son gets older...the scare factor in my decorations goes up a 'notch'. 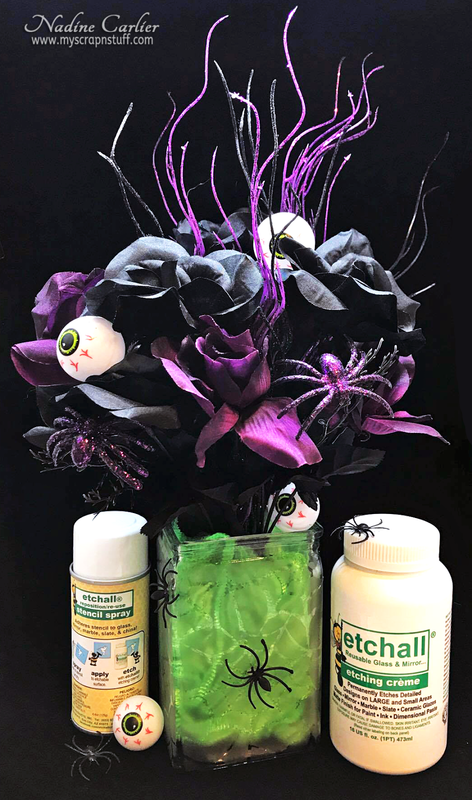 Here, using common household items, I have created the ultimate Halloween decor! 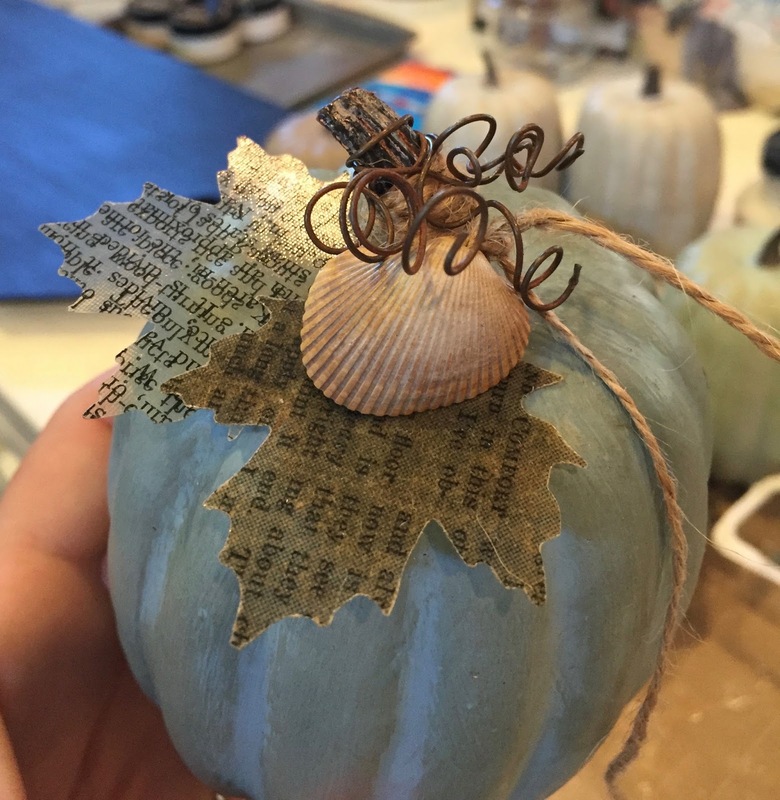 Halloween is just around the corner and it's time to get decorating and making for the big day. 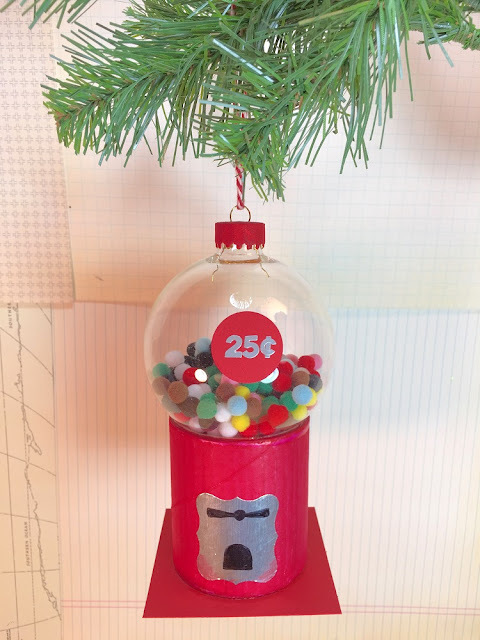 What do you do with all of your leftover goodies from last year that didn't see the light of day??! You alter them into something fun! Halloween is one of my favorite holidays for making goodies and these SpOokY cute ornaments are so adorable wrapped up in colorful seasonal ribbons. I love planning our Fall and Halloween activities. 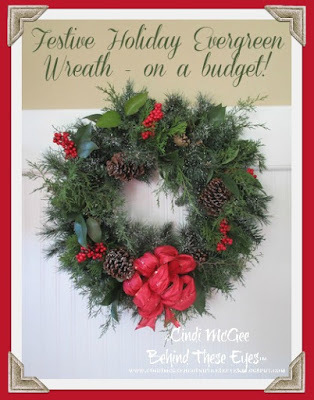 My favorite part is all things crafty and decorating. I even like to "Plan" my agenda for all things "Halloweenish". 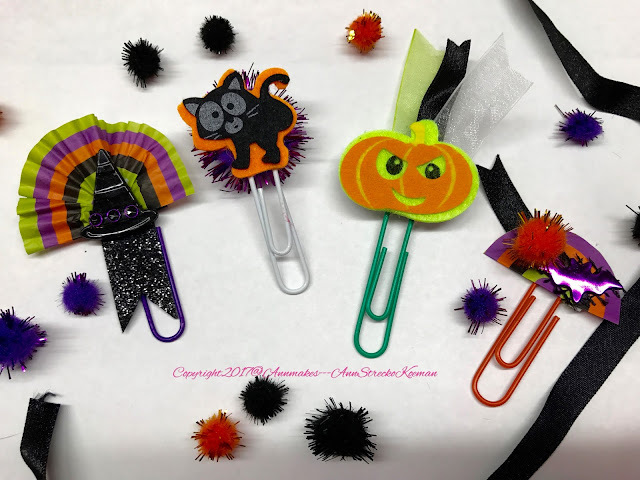 See how I make some easy, fun, and cute decorative paper clips that you can use or give as small Treats. It's World Card Making Day! 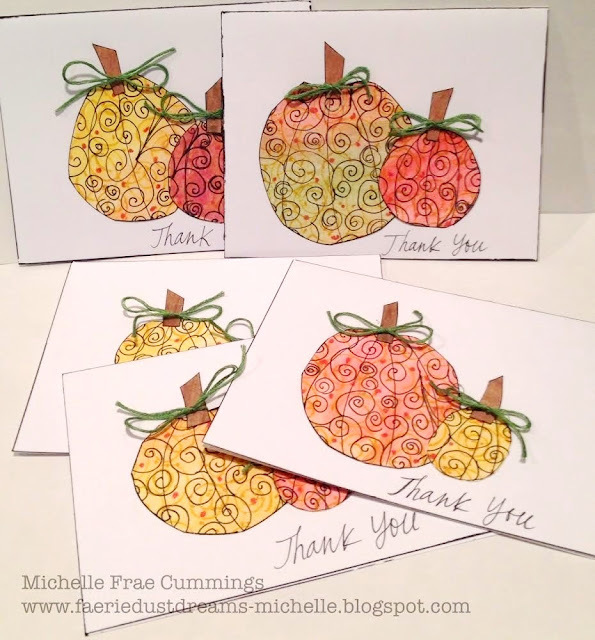 Do you enjoy marking cards? We do and we're sharing our favorite cards here. Please feel free to share your favorites..... Enjoy! Halloween is my favorite holiday! 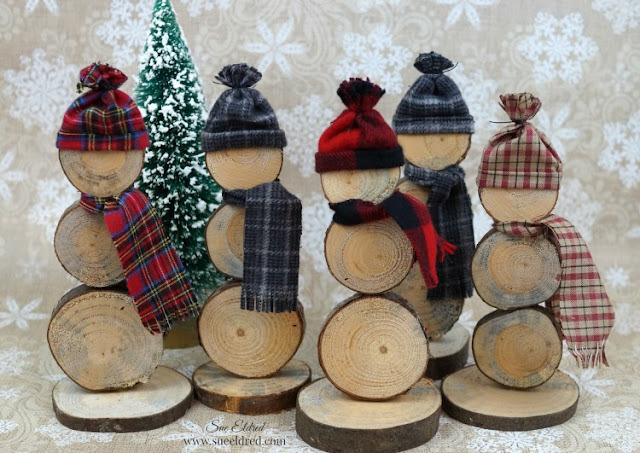 I can't wait to start putting my decorations out every year. 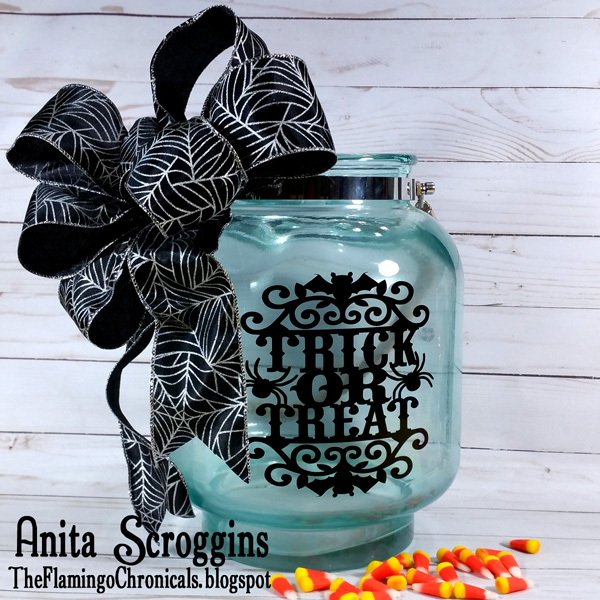 This year I have a new addition - this fabulous Batty Halloween Bucket made with StyleTech Vinyl and an amazing glass jar I found on clearance at Hobby Lobby. 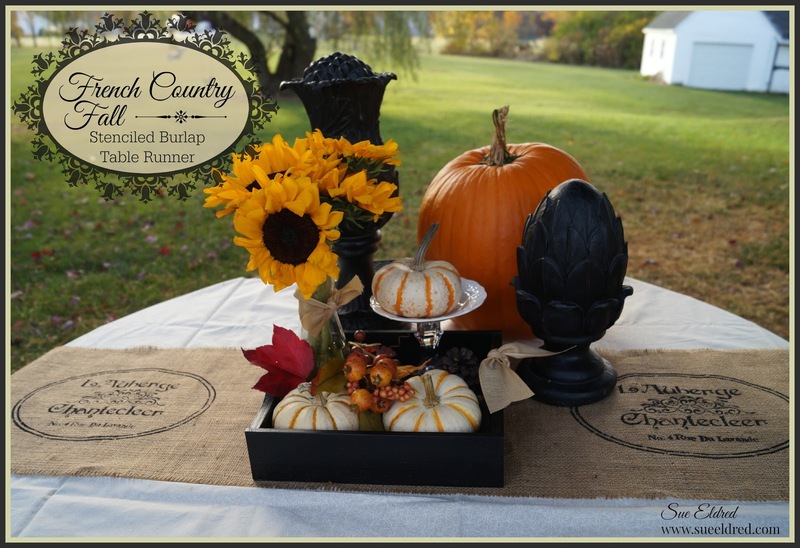 This Halloween craft project is an oldie but a goodie that features two of my favorite products - smooth foam shapes and inkjet film. This little decoration will make your party table much more festive and you can use whatever images you want. Try it with photos of your kids in their costumes from last Halloween. My tutorial includes a short how-to video with lots of handy tips - enjoy! Create an easy DIY canvas Trick or Treat Halloween bag that any little goblin would love! 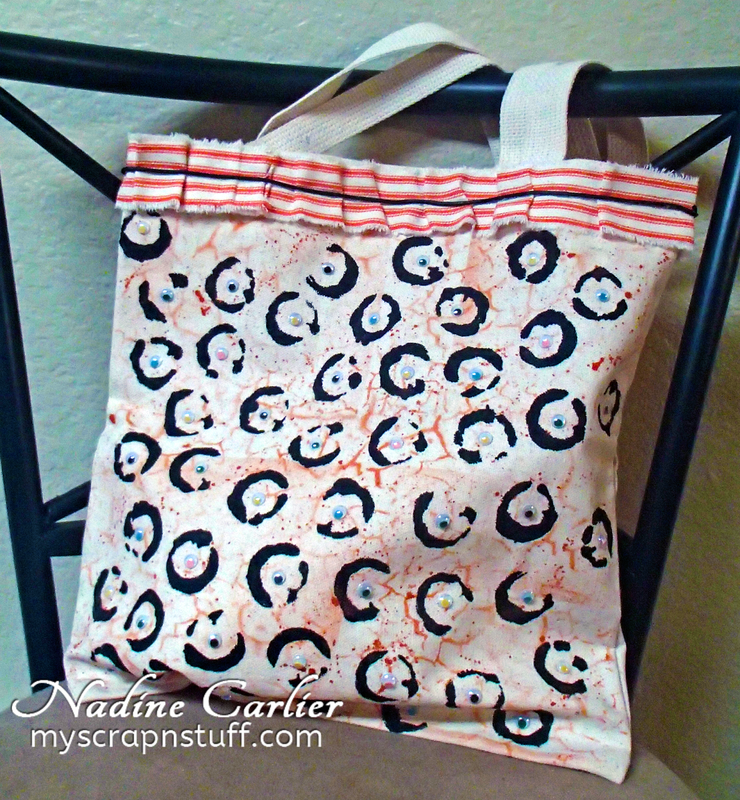 You can make the tote to match the costume or make a fun tote that will be “watching you” with some fun googly eyes like I did. No more plastic pumpkins and no more fall apart plastic bags. Click read more below to watch a tutorial video on how to create this fun trick or treat bag. 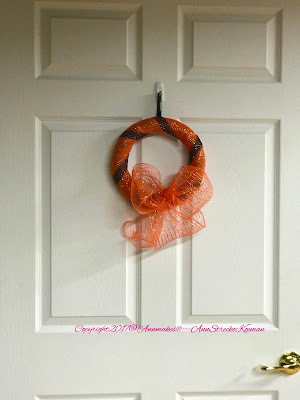 Wrap a foam ring with lovely decorative mesh to make a holiday or Halloween wreath in no time. 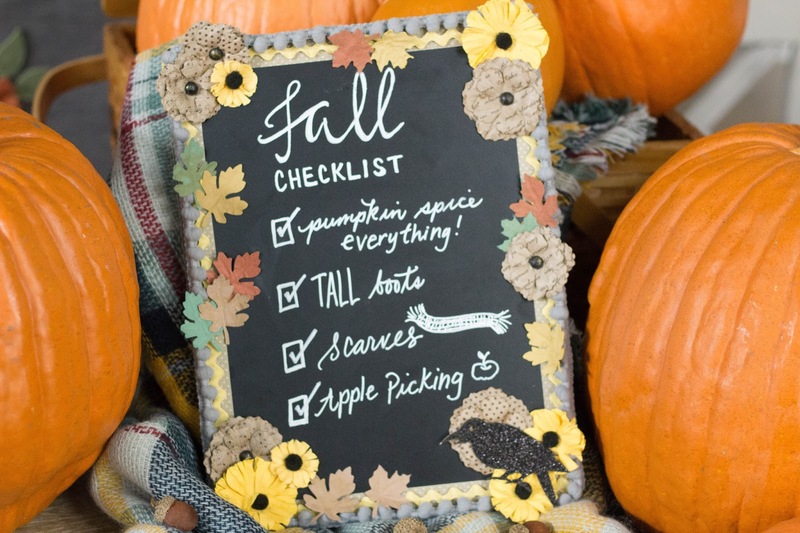 This pretty floral chalkboard, embellished with pom poms, ric rac, and a darling glittered crow, is the perfect home decor piece for fall. The flowers and leaves reflect the warm tones of the autumn season. 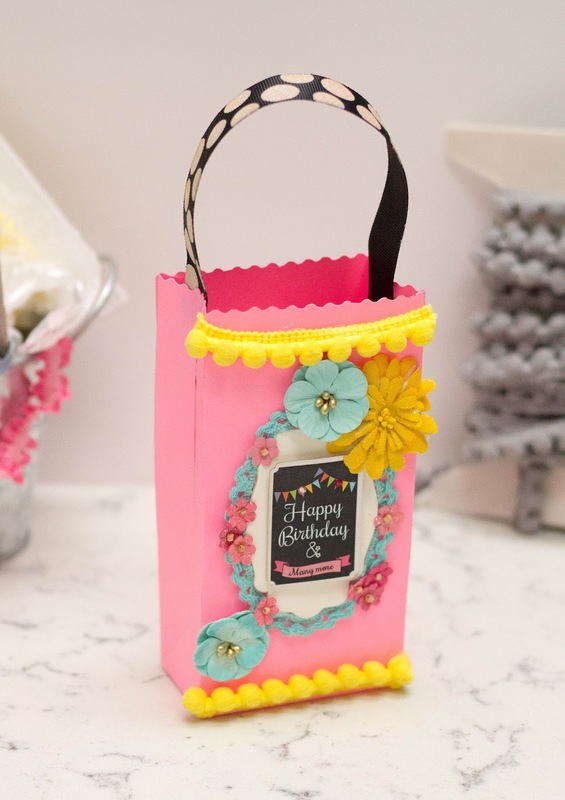 This pretty DIY decor piece is simple to assemble and can be personalized with a flourish of your chalk marker! I'm a certified "Halloween-aholic". 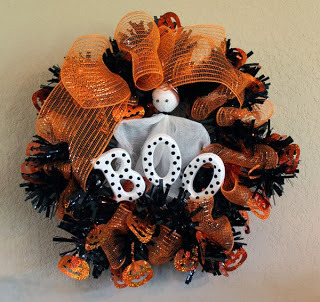 I just love creepy, ghoulish projects celebrating my favorite season of the year. 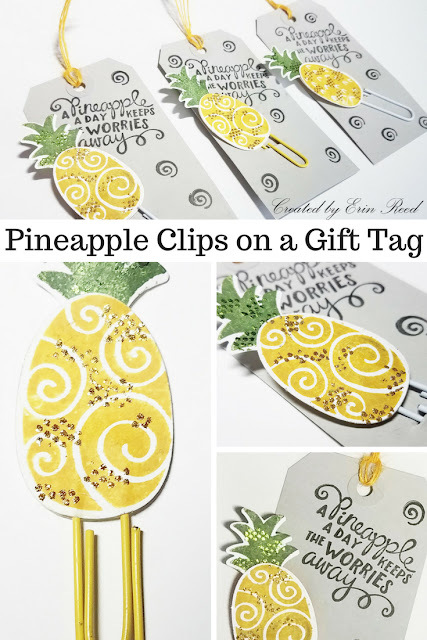 This is one of my all time favorite techniques and I've used it for jewelry, on glass, and in paper crafting for cards and scrapbook pages. There are two versions - the original "blood" and then the truly GHOULISH version..... Want to be a mad scientist? 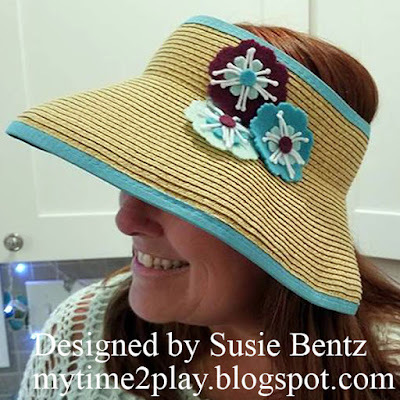 This month's blog hop is sponsored by Kunin Felts and Fabrics, made in the U.S.A. of Eco-fi®. Eco-fi is a high-quality fiber made from 100% post-consumer recycled plastic bottles. Kunin Felt recycles billions of water bottles every year that would otherwise be sent to landfills and makes them into a product which amazingly becomes felt. 12 bottles equals 1 lb of felt that can be used for children's crafts, home décor, even apparel. The felt is also weather resistant and fade proof, making it great for outdoor décor. It can even be used to line garden beds or patio, to keep it weed free. Read more about Eco-fi here. Each designer received a selection of 9" x 12" craft cuts of Classic felt and/or 12" x 18" craft cuts of Premium felt. Check out the following designer blogs for inspiration, then comment here about your favorite projects. Each comment will be entered into a random drawing to receive an assortment of both Classic felt and Premium felt valued at $75 to use to make your own projects! 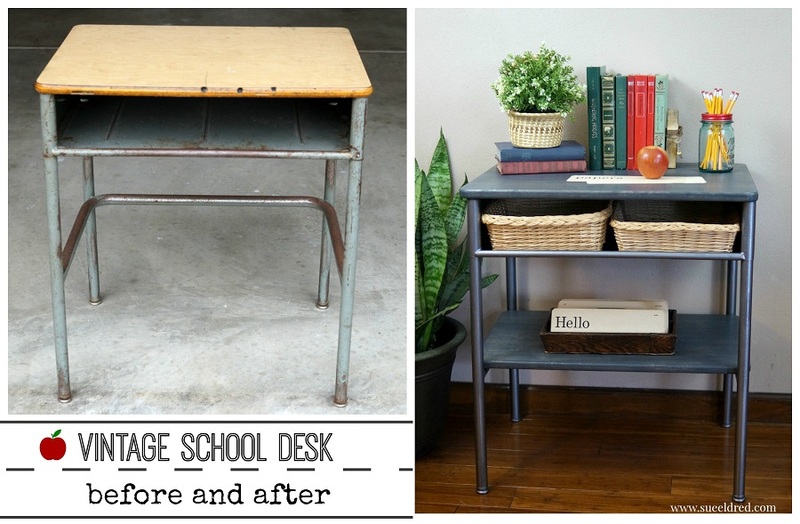 Transform a rusty old vintage desk into a cool industrial-feel side table. Summer is here, but in a few months it will be just another memory. Who doesn't love to remember those fun beach days!!! I created this fun Beach inspired Mirror to remind me that the beach is never too far away! Pineapples are huge right now, so why not give a little something as a gift to a friend or in a happy mail with a cute little pineapple clip ona sweet gift tag!! 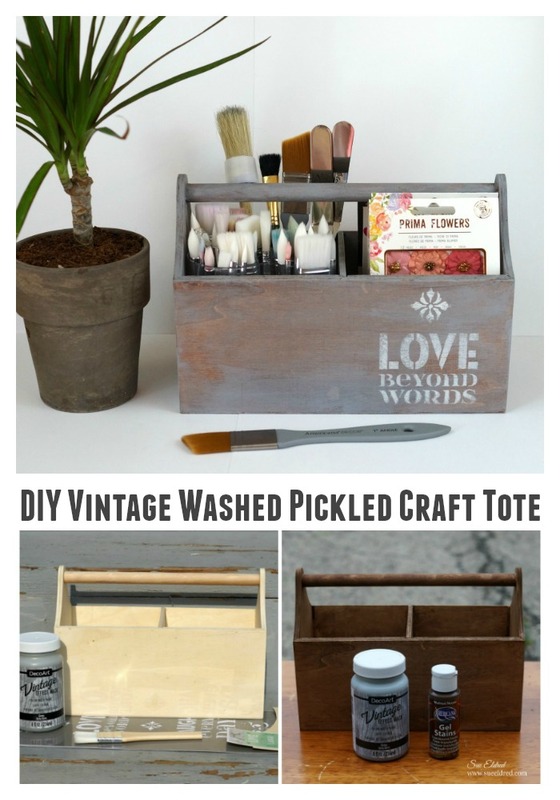 Create the look of faux weathered wood from an old beach house, or storm battered fence on the dunes, with just a few materials. 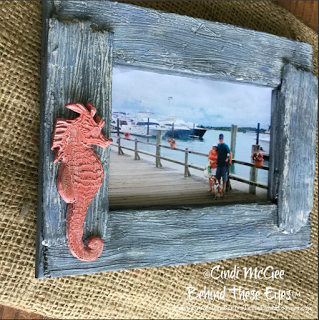 A great option for creating frames to display your favorite oceanside memories! Learn how to create an Easy Pickled Finish with Vintage Effect Wash from Deco Arts.